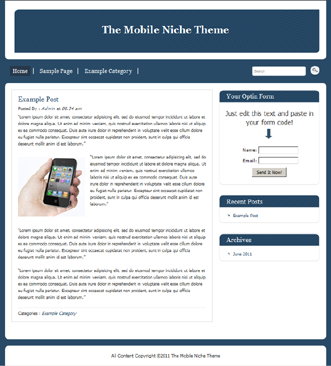 We’ve just launched our MobiNiche Theme at a price that makes it a must-buy if you work with offline clients, sell any niche product, or you can see that the mobile internet market is poised to go through the roof. 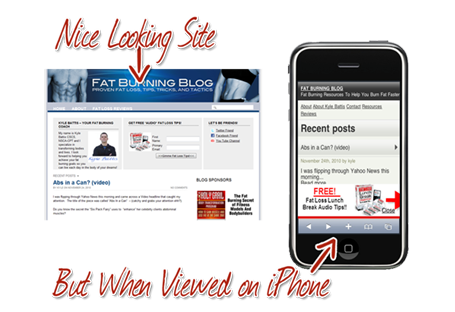 You might think that browsing the internet on your mobile device was already established, and you’d be 100% right. 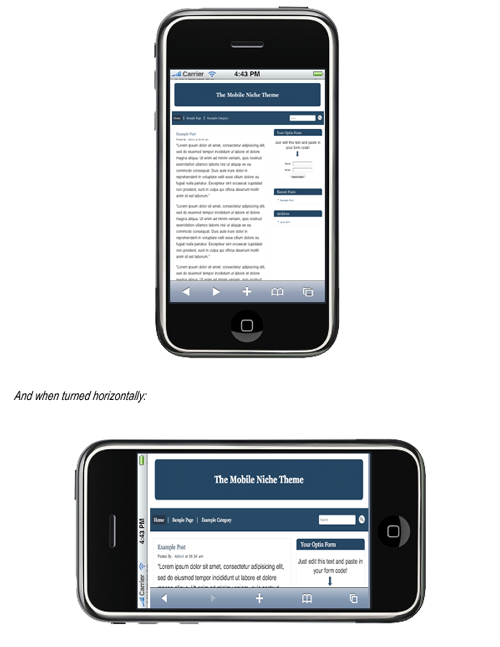 But very few websites are configured to be mobile-friendly. Look at the screenshot shot below. The iphone version is horrible, and I reckon most people would simply leave. Resulting in a potential lost sale or opt-in. Not only that, but we’ve built in some very nice features that come into play when the site recognises it’s being viewed from an iphone. Look at the tilt capabilities. And of course you get all the usual customizable theme stuff such as headers, colours, menu bar etc. and works vertically or horizontally. You get get yourself a copy by clicking on the link below. We’ve deliberately made it affordable so the people who need it most can have access too.